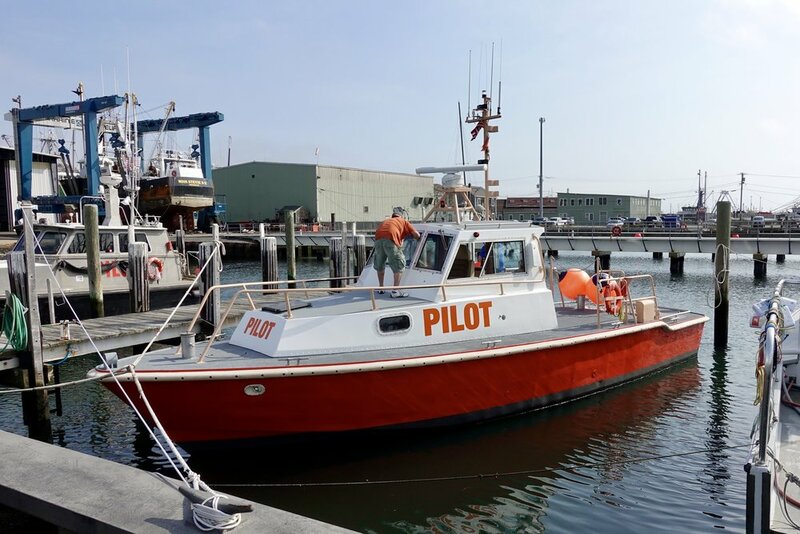 My dad is a licensed sea captain and has a retirement gig running one of the pilot boats that serves the Buzzards Bay side of the Cape Cod Canal. 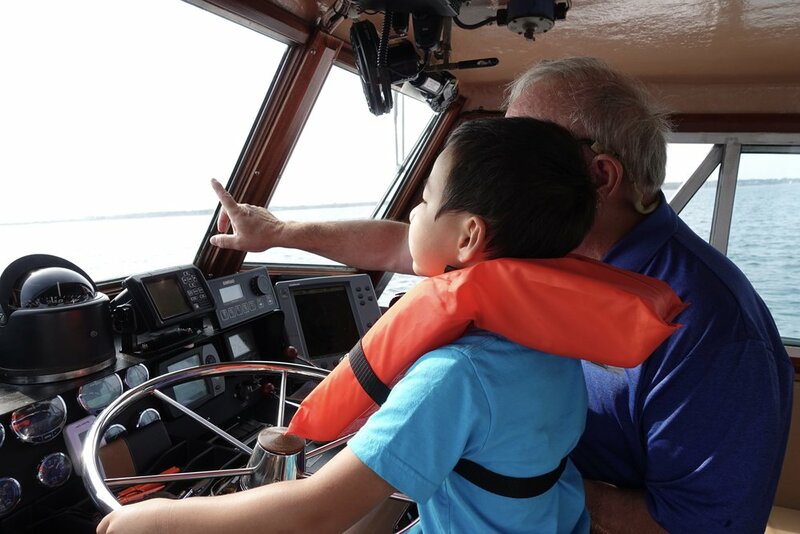 A maritime pilot, if you’re not familiar, is a ship handler with in-depth knowledge of a particular harbor or waterway. When a large ship reaches a difficult-to-navigate location, a pilot is placed onboard to guide the ship in or through safely. 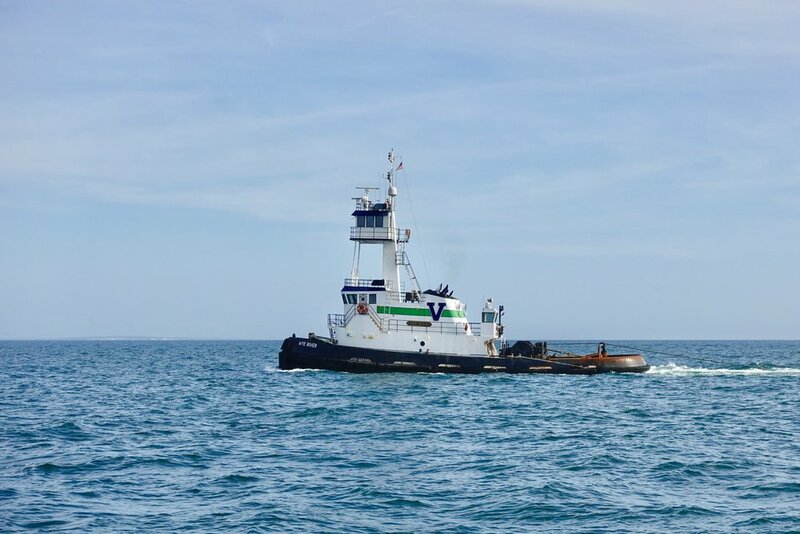 My dad’s job is to get the pilot from shore to a vessel in need of his or her services. Piece of cake, right? My sons and I tagged along on one of his trips today. We steamed out into the bay for about an hour to a designated point where a tug boat pulling a large barge was waiting for us. When the moment of truth arrived, my dad, his deck hand, and the pilot made the whole production of transferring a human being (and cache of Dunkin’ Donuts – it’s New England, after all) between two moving boats look pretty effortless.